Article 7 of the Indiana Constitution establishes the judicial powers and states that all judges shall be duly admitted to practice law by the Supreme Court of Indiana. Indiana had a system based on Justices of the Peace until 1975 when Circuit Courts were established by the legislature. Bartholomew County constitutes the ninth judicial court of the State of Indiana under IC 33-33-3. In addition to the Circuit Court, IC 33-33-2 establishes two (2) Superior Courts and IC 33-33-3-6 establishes the Magistrate position under Superior Court 2. 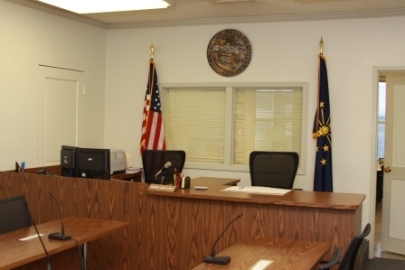 Bartholomew County Child Support (IV-D) Court has jurisdiction over all Title IV-D cases filed by the State of Indiana. Title IV-D cases include mandatory referrals for individuals receiving TANF benefits and/or Medicaid. Anyone can apply for services, however, by completing an application and paying a $25.00 fee through the Prosecutor’s Office. This fee is waived if the custodial parent or child is receiving Medicaid benefits. Once the State intervenes in a case, it can be assigned to Child Support Court by the appropriate judge (Circuit Court, Superior Court 1 or Superior Court 2). Child Support Court is a court of limited jurisdiction. It only hears cases involving: a) support and its attendant aspects including, back support, arrearage payments, ongoing support, support modifications, medical insurance, uninsured medical expenses, college expenses, tax exemptions; b) parenting time (when agreed upon by the parties); c) emancipation; and d) change of residence relating only to the issue of support. Currently, the Circuit Court holds jurisdiction for adult felony cases, criminal cases, adoptions, estates, guardianship, civil collection (civil collections in regards to tax collection), mortgage foreclosure, civil torts, civil plenary, paternity action/dissolusion, protective orders, and reciprocal cases. School, Des Moines, IA (1991). Attorney, and was in private practice. Certified as an instructor through the Wisconsin Office of Justice Assistance and the Wisconsin Department of Justice, she has been a national trainer for law enforcement, prosecutors, victim advocates and first responders on issues related to the investigation and prosecution of domestic violence, sexual assault, elder abuse, and victim issues. Community Organizations: Currently on Heritage Fund Board of Directors; Commissioner on the Columbus Human Rights Commission (Secretary and Executive Committee); Healthy Communities Domestic Violence Action Team (DVAT-Chairperson); Asbury United Methodist Church (Trustee). Past: Co-Chair of UnCommon Cause; Lincoln Center Figure Skating Club Board; Columbus Youth Hockey Board. Law Related Acknowledgements: One of the four “Women in Leadership“ Honoree’s chosen by Columbus Area Chamber of Commerce (2015); Outstanding Prosecutor (from Indiana Coalition Against Domestic Violence) – 2011; Healthy Communities Volunteer of the Year (DVAT) – 2011; Turning Point Community Safety Award – 2009 and 2010; Family Crisis Center Angel Award (for community activity and involvement in domestic violence issues) – 2003; Wisconsin Supreme Court Faculty Service Acknowledgement – 2001; CAPartners Award (for community work in domestic violence issues) – 2001; Nominated Wisconsin Prosecutor of the Year – 1999 (for prosecution of a shaken baby case occurring 20 years earlier). The intent of this court is to hear cases regarding the welfare of juveniles. Legally, juveniles are considered anyone under a predetermined age that, by virtue of their age, is not held responsible for broken laws by standard punishment measure enacted on adults. In Indiana this would mean cases pertaining to anyone under the age of 18. Currently Bartholomew County Juvenile Court handles cases regarding juvenile paternity, juvenile delinquency, juvenile termination of parental rights, and all cases that fall under the jurisdiction of CHINS(Children In Need of Services), which is an Indiana-based program funded by a federal initiative that is designed the Judaical process and safety for children and families involved in child abuse and neglect proceedings. 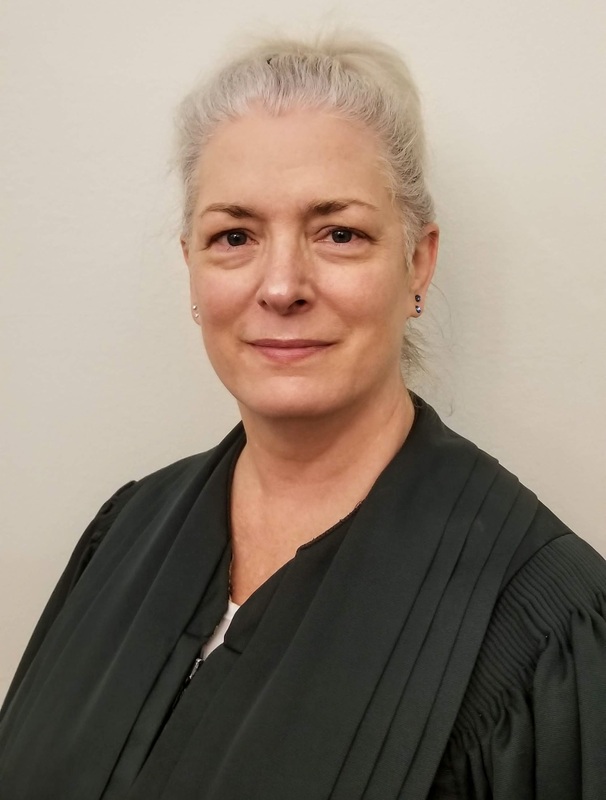 Heather M. Mollo has worked in the juvenile court of Bartholomew County since 2000, first as a juvenile referee and then as a juvenile magistrate since October 2009. Mollo is a graduate of Franklin College (77) and Indiana University School of Law, Bloomington (83). Locally, she is chair of the Juvenile Detention Alternative Initiative, is a member of the advisory board for the Bartholomew County Youth Services Center and a board member of District Eleven Legal Aid. She also serves as a member of the Regional Services Council for Region 14. Mollo also serves on several state judicial committees. She is the chair of the Child Welfare Improvement Committee and is a member of the State CASA advisory board. In addition, she is a member of the Juvenile Benchbook Committee. Small Claims Court deals exclusively with civil suits and occasionally with civil collections from verdicts rendered in such cases at the judge's discretion. Cases brought before Small Claims Court cannot exceed a total value of six thousand dollars in either monetary or other asset based claims. When dealing with civil collection matters, there is no ceiling as to the value of the claim. Magistrate Meek is from Columbus. He graduated from Columbus East High School, the University Of Indianapolis and the Pettit College Of Law at Ohio Northern University. He was appointed Magistrate in 2003 and is the longest serving Magistrate in Bartholomew County history. 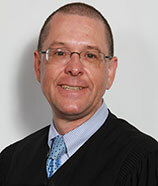 Prior to his appointment, Magistrate Meek was a staff attorney with the Blackhoof Area Legal Services Association (1989-1991) in Lima, OH, the Director Of Legal Writing at the Pettit College Of Law at Ohio Northern University (1991-1998) and the managing partner of the law firm of Witte and Meek (1999-2003). Magistrate Meek is a founding member, and first co-chair, of the local Criminal Justice Coordinating Committee. He is on the local Evidence Based Decision Making Policy Team. 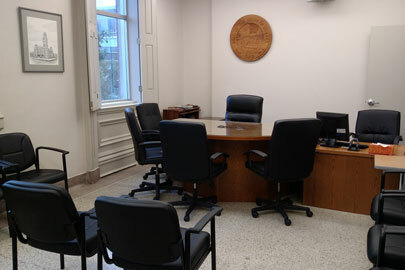 Magistrate Meek helped develop and implement the video conferencing system used by all the Bartholomew County courts. He drafted, implemented and managed the Bartholomew County Alternative Dispute Resolution (ADR) Plan used by the all the Bartholomew County courts in family law cases. He helped create and deploy a process which allows search warrants to be filed and obtained electronically. Magistrate Meek facilitates the twice monthly Bartholomew County Judge’s meetings. 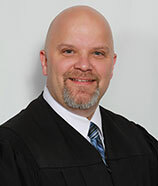 He has served on the Special Courts and Public Relations Committee of the Indiana Judicial Conference. Superior Court I is a court of general jurisdiction. Superior Court I hears felony cases for Levels 1 through 6 violations, and some misdemeanor charges in Bartholomew County; additionally, the court hears civil torts aligning with medical malpractice, automobile accidents, and property damage. 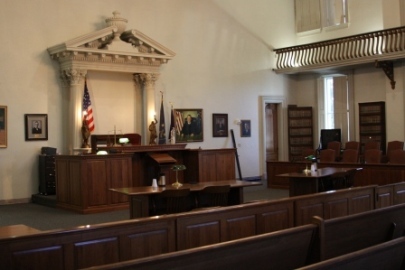 Many cases regarding owner or guardianship are also presented in Superior Court I, such as child support, parenting time, divorce, child custody, wills, disputes, and trusts. Well-being cases are also heard, such as cases involving adult protective services and protective orders. Superior Court I also exclusively hears all mental health cases and all civil case collections exceeding the six-thousand-dollar limit of small claims. Educational Background: Graduate, Columbus North High School, Graduate, Indiana Law Enforcement Academy, Bachelor’s Degree, Indiana University; Doctor of Jurisprudence, Indiana University School of Law-Indianapolis; Indiana Graduate Program for Judges, 2016. Background: James “Jim” Worton is a life-long Bartholomew County resident and was elected as Judge of Superior Court I in the 2012 election, taking office January 1, 2013. Prior to being elected, Judge Worton was a managing partner at the Columbus law firm of Worton & Rohde. In addition to his legal background, Judge Worton served on the Columbus Police Department, retiring after 20 years of service. He served four years as Chief of Police. Judge Worton is also an Adjunct Professor of Criminal Justice at IUPUC, and Ivy Tech Community College, where he teaches various courses in the Criminal Justice programs. Community Activities: Member, American Judges Association, Member, Indiana Judges Association, Member and Past Vice-President, Bartholomew County Bar Association, Member, Indiana Bar Association , Bartholomew County Criminal Justice Coordinating Committee, Fraternal Order of Police, Past Member of Columbus Rotary Club, Vice-Chair, Bartholomew County Courthouse Security Committee, Member, State Judicial Courthouse Security Committee, Member, Bartholomew County Evidence Based Decision Making Team, Past Member, Bartholomew County Domestic Violence Action Team, Past member, Bartholomew County Substance Abuse Council, Past Member, Indianapolis Bar Association, Past Member, American Bar Association, Past Member, Indiana Trial Lawyers Association, Columbus Free Methodist Church attendee. Superior Court II handles all types of civil cases, except juvenile (Circuit Court has exclusive jurisdiction of those cases). 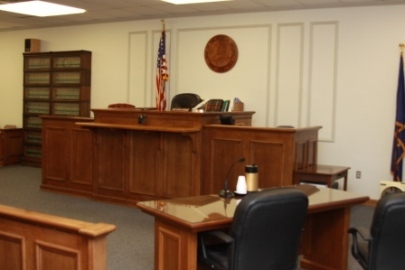 In addition, Superior Court II handles D felonies, some C felonies, some level 4 and 5 felonies, and most of level 6 felonies as well as most of the misdemeanor criminal cases filed in Bartholomew County. 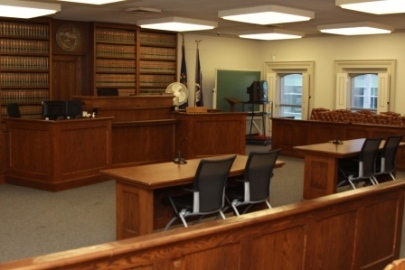 By local court rule, A, B, & most C felonies and level 1, 2, and 3 felonies are handled in Circuit or Superior Court I. 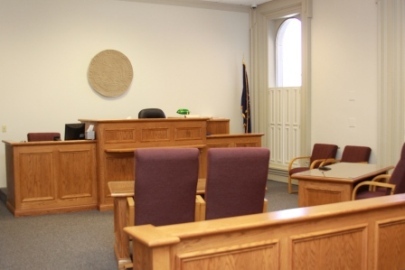 All traffic cases, ordinance violations, and small claims are filed in Superior Court II. 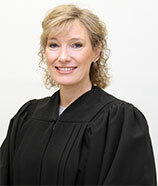 The Superior Court II Judge is the supervising Judge for the Court Services Drug and Alcohol Program. Bartholomew Superior Court II is served by Kathleen Tighe Coriden, Judge, and Joseph Meek, Magistrate, and eight support staff, all with a combined service to Bartholomew County of over one hundred ninety four years. 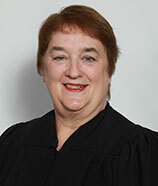 Kathleen (Kitty) Tighe Coriden was appointed judge of the Bartholomew Superior Court 2 effective January 1, 2000, and served until December 31, 2002. She resumed the bench on January 1, 2009. Prior to assuming the bench she was a staff attorney and Executive Director of Legal Services of Bartholomew, Brown, Decatur, Jackson and Jennings Counties, a part-time Deputy Prosecutor for 22 years and also practiced law with her son and husband. 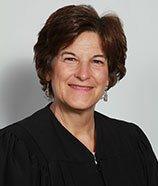 Coriden is a graduate of Mary Manse College (’68) and the University of Toledo College of Law (’71). She has been a resident of Columbus, IN since 1972 and has been involved in numerous organizations over the years including United Way, Y-Med, Advocates for Children, American Cancer Society, a founding member of the current Legal Aid program, Bartholomew Consolidated School Foundation and Zonta International. She is currently co-chair of the Bartholomew County Criminal Justice Coordinating Committee, chair of the Education Sub-committee of the Court Alcohol and Drug Program Advisory Committee of the Indiana Judicial Center and Chairman of the Community Corrections Advisory Board.